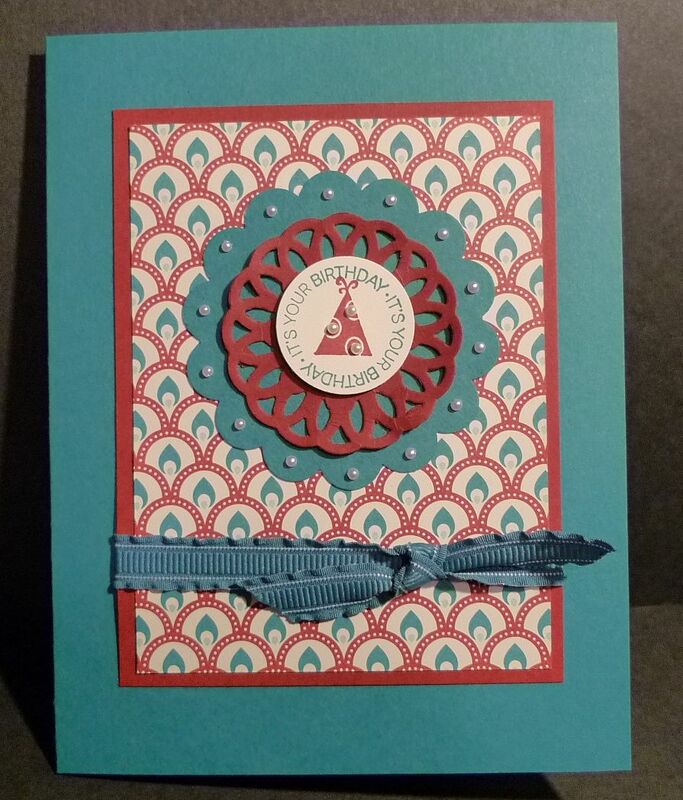 Karina's Kreations: Sale on a Fitting Occasion Stamp Set!!! Sale on a Fitting Occasion Stamp Set!!! There's only two more days of the Online Extravaganza Sale!!! Don't miss out! 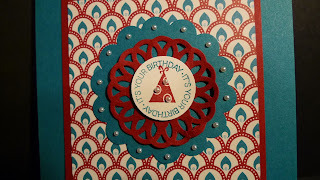 I used the Fitting Occasion stamp set #127047 for this card. The stamp set is 25% off right now! Yeah!!! Look at all the fun images!!! 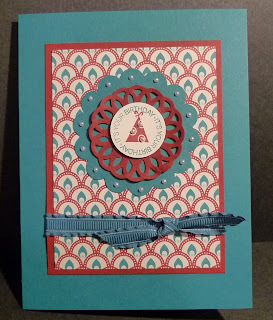 Do you love the Designer Series Paper? It's the Festival of Prints Designer Series Paper Stack # 126904 designed for card fronts or for mounting photos. 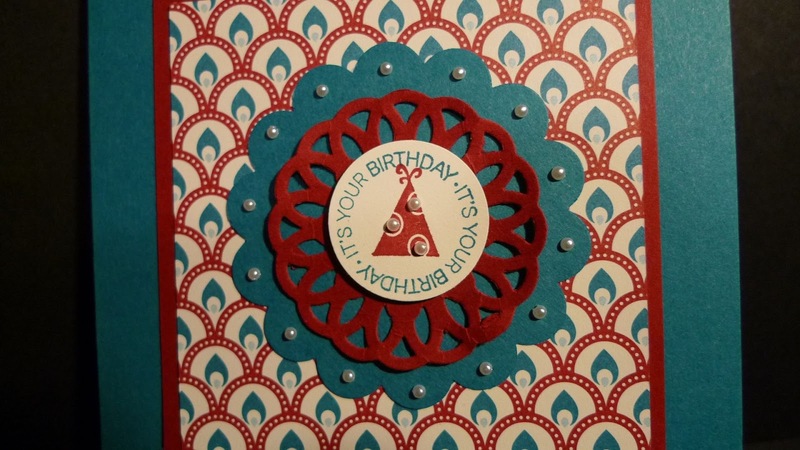 I used the Delicate Doilies Sizzlits L Die #126999, 2-3/8" Scallop Circle punch #118874 and the 1" circle punch #119868 on the card.